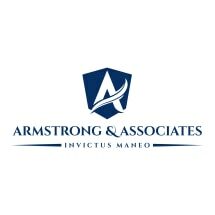 Armstrong & Associates represents victims of sexual harassment in the workplace. The attorney and staff offer the highest caliber of counseling and representation to all of their clients. The law firm places much value on listening carefully to all clients and thoroughly explaining how the law applies to each particular situation. The law firm also welcomes its clients' other employment-related matters, including wrongful termination cases. It assists with severance issues, including any necessary negotiations. It provides legal counsel in all areas of discrimination such as those involving race, ethnicity, gender, disability, religion and age. Often, clients come to the firm seeking assistance when the state's wage and hour laws have suffered violations to the detriment of the client, or they have lost other important employee benefits. Family and medical leave issues may be the subject of an employment dispute as well. The legal staff has vast experience with noncompete agreements and negotiating contracts for executives and physicians. The clients of Armstrong & Associates hail from all over the greater Houston area, as well as Harris County, Montgomery County, Ft. Bend County and Brazoria County. Attorney Jacqueline Armstrong is 30 years strong in legal trial experience, which she embraces fully on behalf of each of her clients. The law firm also enjoys a broad level of access to additional legal, investigative and support services, allowing it to accommodate the most complicated of cases and most formidable adversaries. Armstrong & Associates accepts credit cards for the convenience of its clients.At Armstrong & Associates, the legal professionals provide astute legal counsel to victims of wrongful termination. They use their 30 years of employment law experience to be 100 percent focused on this area and many other areas of illegal discrimination in the employment setting. The firm leader, attorney Jacqueline Armstrong, and her staff offer quality legal counseling and representation to all of their clients. The law firm also enjoys a broad network of colleagues in various professions, including investigative, legal and support services. This vast network facilitates its ability to successfully accommodate the most complex cases. The law firm embraces the importance of providing a thorough explanation to each client of the law that applies to the facts of the case. It also devotes much time listening to client needs and to learn all details of the client's employment situation. Armstrong & Associates is a multi-county law practice whose clients come from all over the greater Houston area, as well as the counties of Montgomery, Harris, Ft. Bend and Brazoria. Armstrong & Associates accepts credit cards for the convenience of its clients.